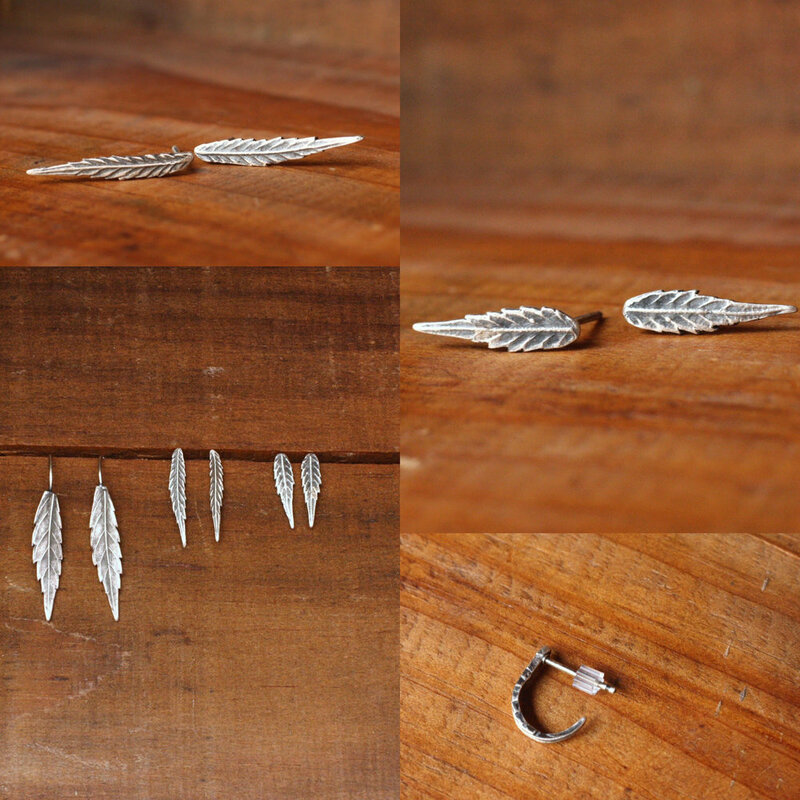 Each leaf reflects one from this story and is hand-cut from fine silver clay. The pieces are fired at 1500*F, cleaned up, soldered to sterling silver ear posts +/ wires, oxidized with liver of sulfur and given a matte (er, "satin") finish. Truly OOAK and ready for your cosmic adventures!